Edward Tilghman, the son of Elizabeth Chew and Edward Tilghman, was born in Wye, on the Eastern Shore of Maryland. Edward Tilghman the elder was county sheriff, a member and speaker of the Maryland assembly, colonel in the militia, and a member of the Stamp Act Congress. 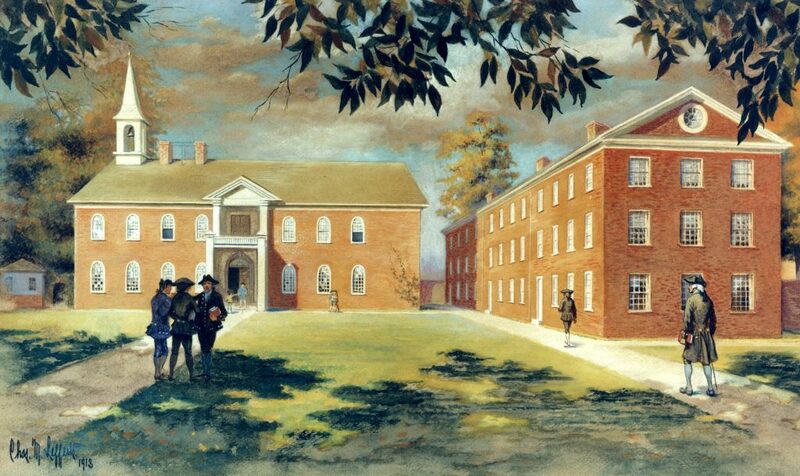 The younger Edward Tilghman began his studies at the Academy of Philadelphia in 1761. After his 1767 graduation from the College of Philadelphia (now the University of Pennsylvania), he studied law at the Middle Temple in London and then practiced law in Philadelphia. In 1774, after returning to the colonies, he married his cousin Elizabeth Chew, daughter of the Hon. Benjamin Chew. Although his family had benefited from their ties to the British crown, both Edward senior and Edward junior supported the American Revolution. In 1776 young Edward enlisted as a private with the Philadelphia associators; later that year he served as a brigade major at the Battle of Long Island. Edward gained considerable distinction as a lawyer, but persistently avoided public office. When offered the position of chief justice of the Pennsylvania supreme court by Governor McKean in 1806, he declined. Tilghman served as a trustee of the University of Pennsylvania from 1794 until his resignation in 1807. He died in Philadelphia in 1815.